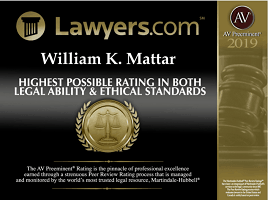 We are proud to announce that William Mattar was named one of 2019’s Best Companies to Work for in New York. 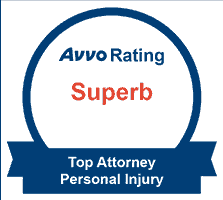 As a firm focused on helping people, we understand that this starts with how we treat each other. 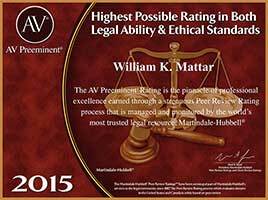 We’re happy to be recognized for creating such a notably positive work environment! 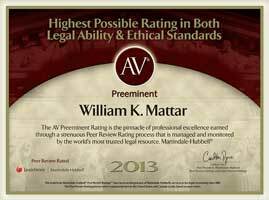 At William Mattar, our passion for helping people and commitment to clients does not go unnoticed. 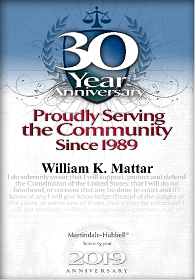 Year after year, William Mattar is recognized by a number of organizations for skillfully defending the rights of our clients and continuously working to improve communities across New York State. 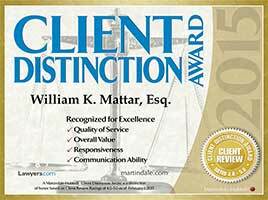 Our accident attorneys and staff are proud to be part of William Mattar’s team and we applaud him on his hard work and dedication to building our firm. 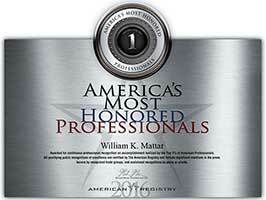 Awarded for continuous professional recognition an accomplishment realized by the Top 1% of American Professionals. 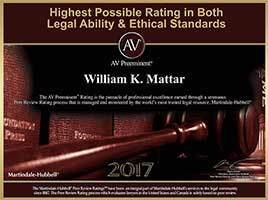 All qualifying public recognitions of excellence are certified by The American Registry and include significant mentions in the press, honors by recognized trade groups, and acclaimed recognitions by peers or clients. 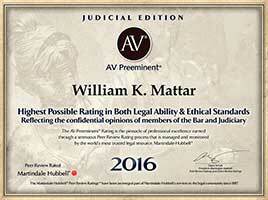 William Mattar received this award in 2016 and 2017. 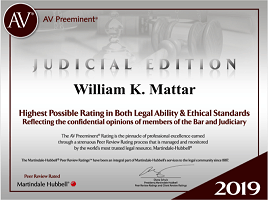 The AV Preeminent Rating is the pinnacle of professional excellence earned through a strenuous Peer Review Rating process that is managed and monitored by the world’s most trusted legal resource, Martindale-Hubbell. 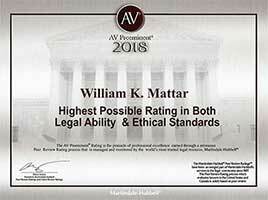 William Mattar received Highest Possible Rating in Both Legal Ability and Ethical Standards in 2013, 2014, 2015, 2016, 2016 Judicial Edition, 2017, and 2018, and Highest Level of Professional Excellence in 2017. These awards are given to top-tier, legal professionals who receive multiple 4 or 5 star Avvo reviews within a single year. 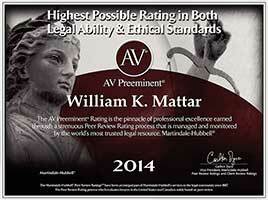 These ratings are indicative of a lawyer’s experience, professionalism, and background. 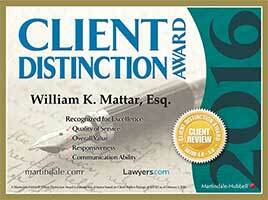 Both awards serve as a testament to the quality of service provided to clients every day. 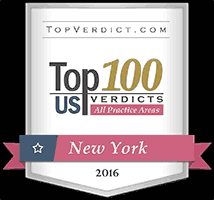 This award is given to top Western New York lawyers as nominated by their peers and is published in Buffalo Business First. 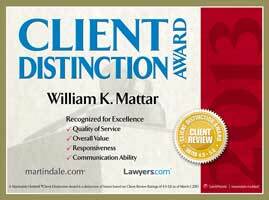 Martindale-Hubbell gives out the Client Distinction Award to recognized excellence in quality of service, overall value. Responsiveness and communication ability. 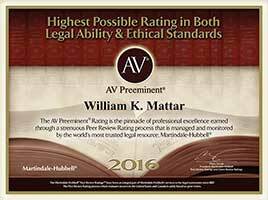 William Mattar received this award in 2013, 2015 and 2016.